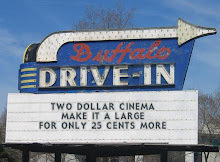 Two Dollar Cinema: She's happy, though. 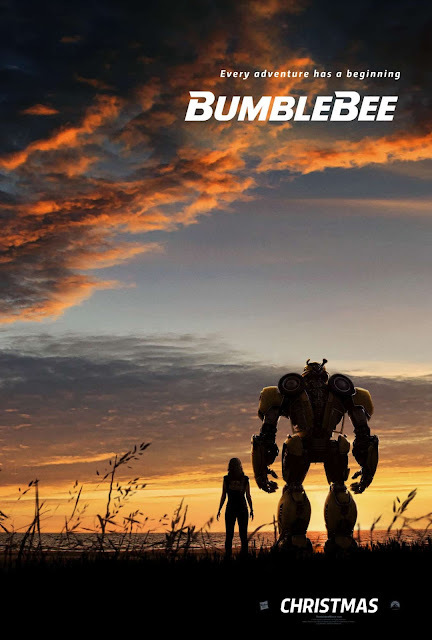 Cut to Charlie, played by an incredibly earnest Hailee Steinfeld, who, on her 18th birthday, inadvertently discovers the car she was just given is, you guessed it, a talking robot from space. Uh, that everybody wants to kill (which along with an AM/FM radio may or may not be a desired add-on). So now that she's got the touch, one can only assume she also has the power. Welp, ol' Charlie can totally relate, because even though she ain't a giant space car, she's a teenager, and apparently those things also feel alone and from another planet. Doesn't help that her own version of Optimus Prime is gone, too, as Charlie's dad died rather suddenly a few years back. While no human could possibly understand what it's like for a little girl to lose her dad, a pimped-out Wall-E from a planet of exploding metal certainly can. All a-holery aside, they actually make a sweet pair. Speaking of sweet pairs, that sound you heard was the Yays and Boos transforming in the distance. No, no. Don't worry. They're still painfully awkward and unfunny as always, they just look slightly different. Once I knew Soundwave was in this film...I actually stopped breathing. The opening battle on Cybertron is truly what dreams are made of. Just those three minutes were better than all of the other five films combined. Easily. Wow, so this is probably going to be the movie I use to explain to my kids what the eighties were like. *presses pause* See! Right there! That's called a Walkman. Your dad actually used to have one of those. Ha! See that? We called that teepeeing a hous--where are you two going? Dude. Duuuuuuude. I forgot about how wonderfully wonderful the Hot Dog on a Stick uniform is/was. You know that moment where two male characters in a bad 80's movie exchange a 'the girl knows her stuff' look? I live for that (deliciously horrible) moment. Speaking of, the one old guy, Uncle Hank? There's no better way to put it: He's a righteous dude. It's probably a Boo, but John Cena's effort in this one is nothing short of hysterical. I actually love the guy, but holy cow, I'm pretty sure I could see the elbow of cue-card guy Cena was staring at. I wish I could react that way when I don't like a song. They literally call themselves 'Decepticons'. Finally, someone gets it. Hahaha, sorry Al Gore. Turns out shape-shifting space robots invented the internet. Okay, not gonna lie to you. I snorted when Bee egged that chicks car. I'm pretty sure Bee killed that cop...and definitely sure that, for some reason, everyone got a big laugh out of it. Memo. Bad name, good dude. The final battle was really well done. Lots of chaos and unnecessary explosions. And that move with the chains? I expect that to be a finishing move in Mortal Kombat 11. Loved that little cameo on the bridge at the end. Can a prequel get a sequel? 'Cause I'm here for it. And finally, seeing a big, dumb movie with my little, sweet girl could not have made me happier. Oh, it was probably inappropriate and scarred her for life, but like everything she's going to go through in her life, I'll be right there with her. Agent Burns, desperate to find Bumblebee. 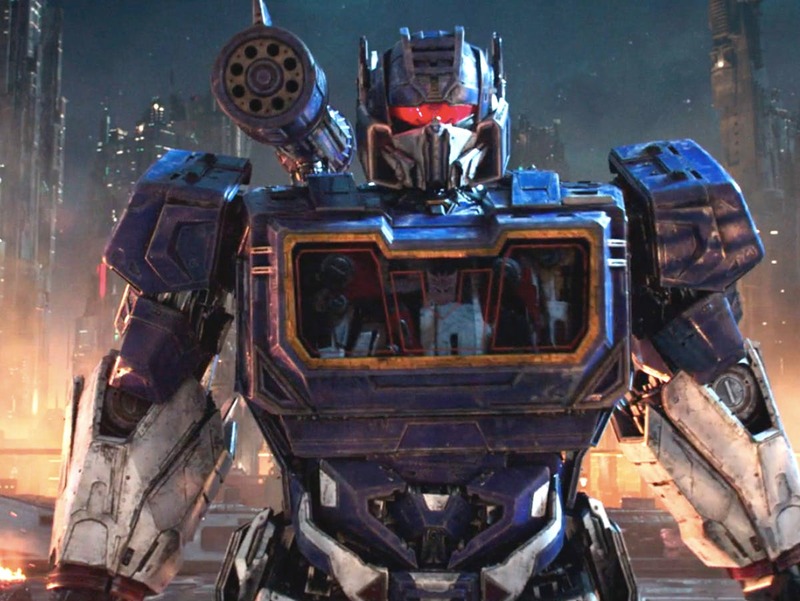 Not that it's too surprising, but I think Optimus Prime's voice program is stuck on the expository setting. Speaking of vocal concerns, I know we have to explain it, sure, but I think the stabbing of Bee's neck might have traumatized half the theater. And the children, too. Just for the record, it's the eighties. We get it. I was there. Pretty sure we didn't mention it in every radical sentence. Ron. Ronnnnn. You's a step-dad. You gotta give a waaay better present than that. There's this weird thing where the Decepticons, uh, kill people. By...well, popping them. I like you Bee, I do. But only John Bender is allowed to fist pump the air like that. Far as I'm concerned, those are the rules on this, or any other, planet. Phew. I thought the General was stupid when he asked for 90-foot ceilings at every facility. But he knew one day we'd need them. A dive-off? You're joking, right? RIGHT? Seriously, Tina. What's your damage? Spoiler Alert: Bee's gonna get hurt pretty bad. And the solution? Well, it's to shoot him. Repeatedly. Even Violet leaned over and whispered (rather loudly), Not a good idea. You know that moment at the end of a cheesy movie, where the random skill that they'll never use again...must. be. used. again? I do not live for that (beyond ridiculous) moment. Ah, the transforming sound. I love it so much. Which begs the question, WHY DOESN'T IT HAPPEN ALL THE TIME? And finally, as much as I loved having my daughter with me, she got so scared. There was a decent stretch where she just buried her face into my arm to hide her eyes (I covered her ears, too). I don't think she was scared of what was onscreen, but more of how unbelievably LOUD it was in the theater. Fine, maybe she was scared of the Decepticons too, and I'm a terrible father. There, I said it. You happy, jerkface? I'm not (that) stupid, I know that this isn't going to last forever - the whole hanging out with Dad thing that occasionally consumes my daughter. Shoot, my son's almost ten and I can already sense his willingness to sit out anything with anyone in favor of...doing absolutely nothing. He's developed this angst thing that I'm not sure will ever go away. But Violet? Right now? She's at peak awesomeness - just as pure and silly as a kid could be. I know, I know. She's going to grow out of it, you dope. 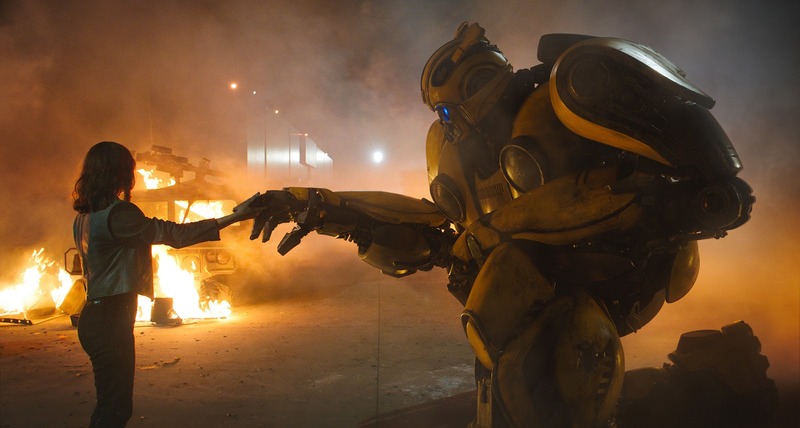 Bumblebee ain't the only one that transforms. I will check this one out even though I should have watched it in theaters. Seeing that pic of Soundwave and reading that it's set in the 80's makes me want to seek this out. Yeah, I bet the theaters will certainly help this one out a bit. That said, if you liked anything about the other five (FIVE!) Transformers flicks, this is an easy win. Violet - you are such a cool little lady. I hope my Daisy begs me to see movies like this when she's 5 rather than Frozen 4 or Trolls 17! Hahaha...she really is pretty frickin' cool. Probably cooler than I am at this point, though that ain't exactly hard to do. I've got a feeling Daisy's gonna turn out the same way. Whoa, whoa, whoa. Trolls 17? Is Anna Kendrick in that one? SOLD! I'm torn on this, I remember when the trailer first came out I was like "God, not again" then they showed Star Scream and I was like "....damn that looks cool." I think I'll give it a shot eventually. HAhahahaha....yeah, I had to roll out of both Jurassic Park and TFA with a younger iteration of Violet, but between you and me, I think the only reason I left in each case was that I had already seen each movie, you know? So, yeah. Bad dad. I was torn too. I wanted no part. But then Violet, Soundwave and a cold Saturday joined forces and I was powerless. Oh, Anonymous. You're such a kind...individual? I too, don't know how I ended up here. I've never seen a transformers film but I feel like after reading this...I kind of have to, right? Noooooooooo!!!! You do not HAVE to! But, if you ever feel even remotely curious...start (and end?) 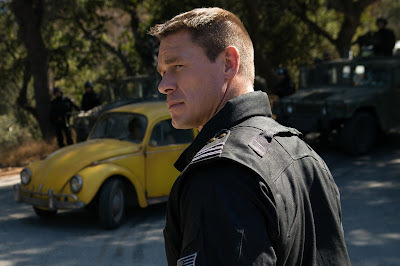 with Bumblebee.